Matt Hadley, a 6’0” 191 pound defensive back for the BYU football team, recently returned from serving an LDS mission (Salvador Brazil). He originally committed to the Cougars on June 25, 2010 after his sophomore season of high school, becoming the first commit for BYU’s Class of 2012. 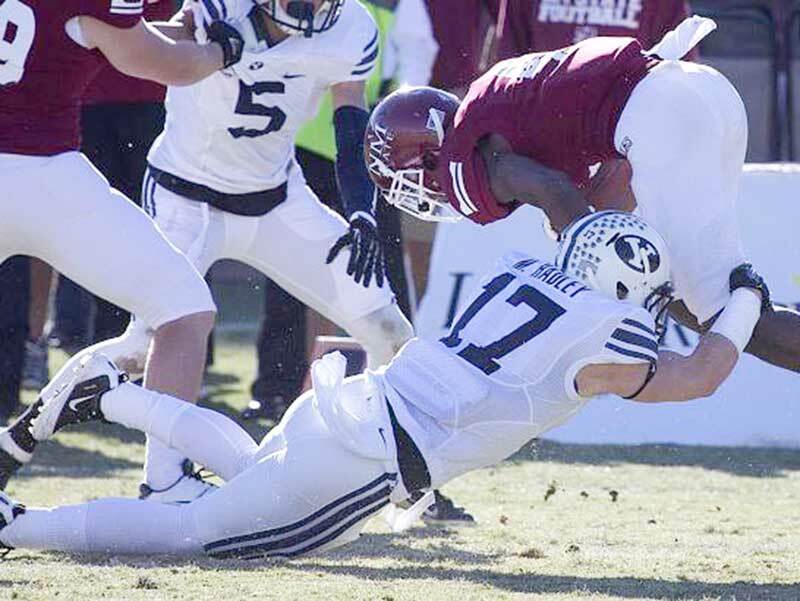 He competed for BYU during the 2012 season where he saw action in seven games, recording seven total tackles (four against Hawaii) and 0.5 tackles for loss. Hadley prepped at Connell High School (WA), where he was a star running back, breaking the state record for rushing touchdowns in a season (50) while amassing a whopping 2,516 rushing yards during his junior campaign. As a senior he rushed for nearly 2,400 yards and 39 touchdowns. He set the Washington prep record (for all classifications) with 124 career touchdowns, and gained 6,881 total yards over his prep career. He also spent some time at slot receiver, played safety for the defense (with 5 interceptions in 2011), and did punt and kick returns. He was a three-time 1-A State Player of the Year, and in 2011 was a first-team All-State player for all classifications by the Seattle Times and Tacoma Tribune. He was also named the Tri-Cities Area MVP by the Tri-City Herald and a U.S. Air Force Small Schools second team All-American, joining fellow Cougar commit Josh Weeks (Show Low, AZ). 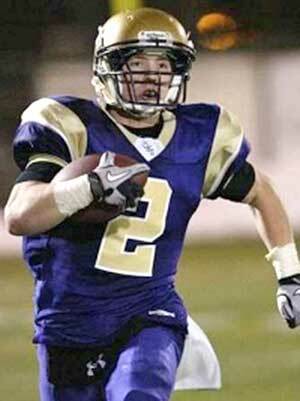 Connell won football state titles during Hadley’s sophomore and senior seasons (they were runner-up his junior year). 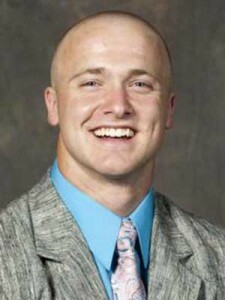 In addition to football, Hadley maintained a 3.86 GPA, was the starting point guard on the basketball team, and threw the javelin for the track team. Hadley was rated 3-stars by Rivals and Scout who listed him as the No. 2 safety prospect from Washington. ESPN rated him 2-stars with a grade of 74. He was recruited by Arizona State, Boise State, Harvard, Nebraska, Oregon, Princeton, Stanford, USC, Utah, Utah State, Washington. Other schools-including LSU and TCU-recruited Hadley to run track (javelin). He is the younger brother of former Cougar Spencer Hadley, and the cousin of Austen and Colby Jorgensen. 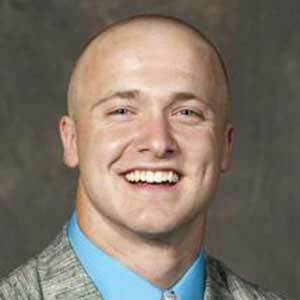 Last Team: BYU HT/WT: 6’0”, 191 lbs.